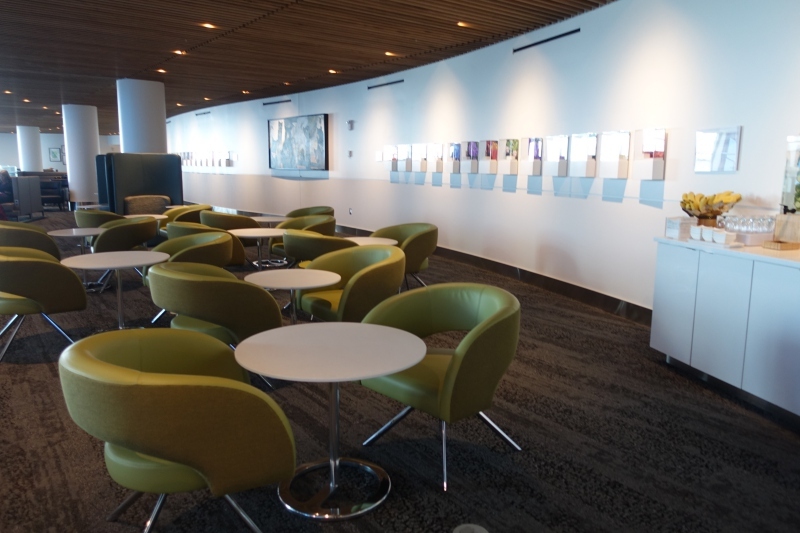 Delta's new Sky Club Seattle lounge has gotten rave reviews, so I was looking forward to experiencing it on our recent trip to Seattle to visit relatives. It's less than a 5 minute walk from the AMEX Centurion Lounge, which has been expanded from the previous Centurion Studio since my last visit, and which I'll review soon. Once I entered, I checked in at the reception desk, which was staffed by two associates. I just had to present my AMEX Platinum card and Delta boarding pass. The Delta Sky Club Seattle is easily the most spacious Seattle lounge. Its sprawling first floor level includes both individual seating and communal tables with convenient access to power outlets for road warriors. Meanwhile, the upstairs mezzanie level offers a quieter space conducive to getting work done, or away from the noise of the first level. It also affords a bird's eye view of the tarmac, through the enormous windows (which are energy efficient and automatically tint to reduce glare and heat inside, such that no blinds are needed). The first floor is also where a tasteful buffet is set up, which I'll review below, and where the bar is. Past the bar is the Asanda Spa, which offers various paid massage and spa treatments, and is also where you can request a shower room. Unlike many of the highly spartan, even clinical shower rooms I've visited in other lounges, this one was adorned rather nicely with an orchid plant. The rain shower could have had stronger water pressure, but apart from that it was fine. The Westin “Heavenly Bath” towels were fluffy and better quality than many of the other towels I've been given for other shower rooms. I'm not such a fan of Malin + Goetz bath products, and it was weird that the shampoo wasn't Malin + Goetz, only the conditioner and bath gel. The Delta Sky Club's food is surprisingly appealing. 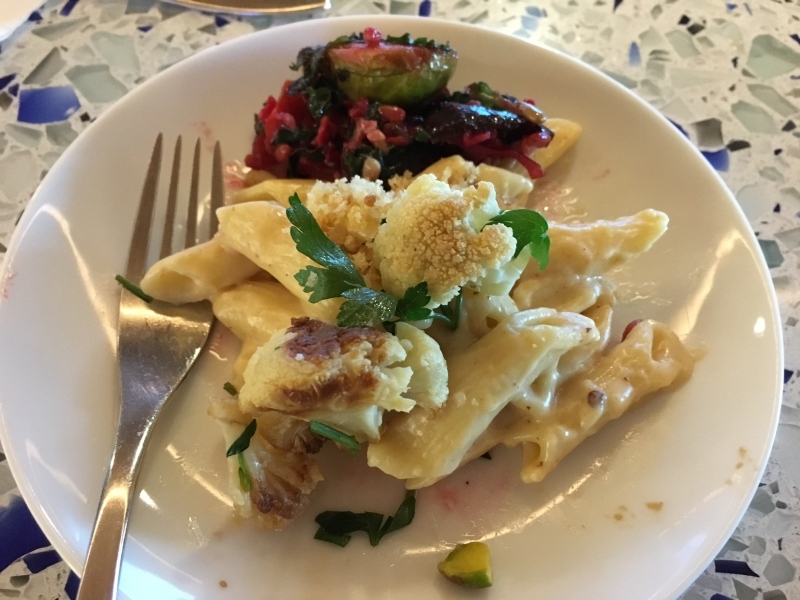 I wasn't expecting much, even given the well-designed lounge, since food is often where U.S. airline domestic lounges fall short; at least I've never been too impressed with food at American Admirals Club or even American Flagship Lounges. The Beecher's Mac and Cheese was also quite good, although I've had better mac & cheese. 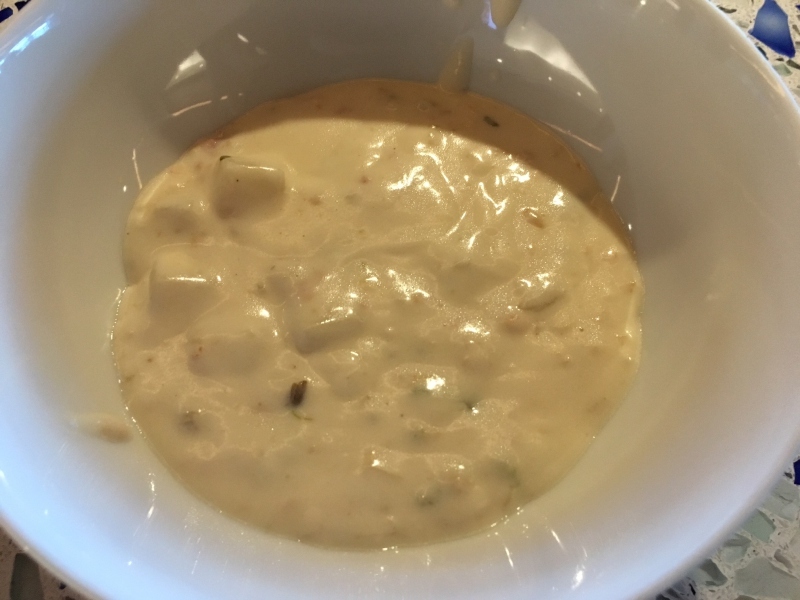 I also had some of the very rich clam chowder, which was good. If you just want a sandwich or some finger food, there are wraps, crudites, crackers, and more Beecher's cheese. I did have some white wine, which was decent. My favorite, however, was the fresh squeezed orange juice, which I paid about $3 for and was freshly squeezed to order. That was delicious. Generally I don't fly much domestically, let alone on Delta, but if I happened to be located in San Francisco or Seattle, where there are Delta Sky Clubs, I could see booking Delta for short West Coast flights to take advantage of the Sky Club. I liked that there was plenty of seating, particularly on the uncrowded mezzanine level; well appointed shower rooms; good food, especially the vegetable options; and that the lounge was conveniently located near our A gate. 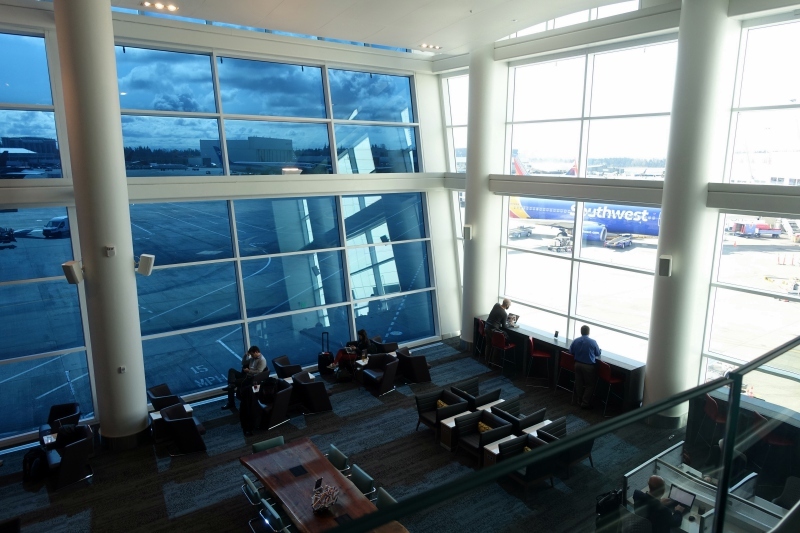 If you've been to the Delta Sky Club Seattle recently, what was your experience?